In the world of business, any metaphorical reference to games — gambling games, at that — might seem less than ideal. But for Amur Swaminathan Lakshminarayanan, president and CEO of Tata Consultancy Services Japan Ltd. (TCS), a deck of cards always comes in handy when elucidating his life motto. It’s a mantra that’s served him well. Since entering TCS in 1983, Lakshminarayanan has overseen teams around the globe, achieving several firsts for the Indian multinational information technology service, consulting and business solutions company headquartered in Mumbai. Among his assignments over the intervening 35 years at the company with offices in 46 countries are stints in the U.S., Australia, Hong Kong and the U.K., where he spent almost two decades overseeing an ever-expanding TCS presence in markets throughout Europe. In 2014, he was delighted to accept an invitation to lead a new mission to Japan and a joint venture with Mitsubishi Corp., a company the Tata Group (TCS’s parent) has enjoyed a 125-year relationship with. “I was living in London at that time and got a call asking if I was willing to go to Japan,” said Lakshminarayanan, who prefers to be called Lakshmi (“because my name is rather long”). Lakshmi readily admits that the challenge presented was in some ways made easier by a lack of preconceptions about Japan. Previous overseas postings had been different. Through books and other media, he had already formed an image of the U.K. before he even landed there — the stiff upper lip, fish and chips and everyone carrying an umbrella. Lakshmi believes that this has been key to settling into Japanese life. This has been particularly true when dealing with what Lakshmi calls an “agonizing” over perfection among Japanese. Interestingly, one of TCS’s biggest goals has been to evolve that mentality in a way that can also incorporate the creativity and flexibility of thought found in other countries. Conversely, the company is also trying to export Japanese diligence to other TCS offices, according to Lakshmi. In Japan, the company has recently turned a corner in this regard. “We are not there yet, but we have a good platform on which to build,” he said. On a personal level, Lakshmi admits to having become very fond of Japan, particularly for its ability to protect cultural values that are slowly disappearing from his home country. “In India we say ‘guests are gods.’ I see that kind of similarity in Japan, even more so, in fact. Unfortunately, in India many of those values are becoming diluted by various influences. But Japan has managed to keep its culture in some wonderful ways,” he said. He has also been struck by Japan’s natural beauty, especially the country’s mountains that increasingly are becoming a target of one of his passions — trekking. 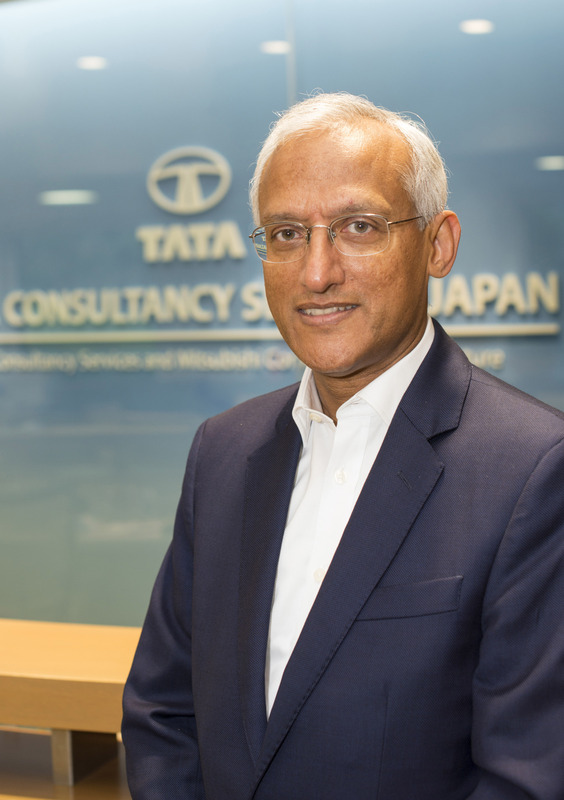 Amur Swaminathan Lakshminarayanan is president and CEO of Tata Consultancy Services Japan Ltd. (TCS). The Tokyo-based Japan branch of the Indian multinational information technology service, consulting and business solutions company is headquartered in Mumbai with offices in 46 nations worldwide. Lakshmi, as he likes to be called, joined TCS in 1983 and has served in a broad range of leadership roles across regions and industries. 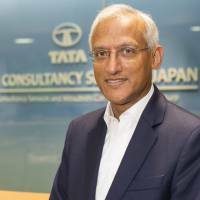 Prior to his posting at TCS Japan that began in 2014, he was the global head of the company’s telecom, media and information services, high-tech and utilities (2012–2014). From 1999, he was the head of the U.K. and Ireland operations, later becoming the head (2010–2012) of the U.K. and Europe markets — TCS’ second-largest region worldwide. Lakshmi has also lived and worked for TCS in the U.S., Hong Kong, Australia and India. Born in Trichy, in the state of Tamil Nadu in southern India, Lakshmi holds a degree in mechanical engineering from the Birla Institute of Technology and Science and is an avid golfer and mountain climber.